Toyota Estima For sale UK Registered direct from Japan including Toyota Estima Hybrid supplied in UK as MPV by Algys Autos Ltd, THE Best Value in the UK. FACT. Your search for the best quality and prices Toyota Estima for sale starts and ends here! All available via our unique ‘Import Scheme’. Toyota Estima For Sale in the UK Via Algys Autos. The Toyota Estima came into production in Japan in 1992 and had many variants. There was the 2.2 turbo diesel engine and the 2.4 petrol engine as well as 7 or 8 seats and 2 or 4 wheel drive. Optional Grades add to the basket together with optional extras just to confuse! In the UK the wide bodied 2.4 petrol engine was the only version available and was named ‘Previa’. The body shape stayed much the same until 1999 when a totally new Estima was launched.The Toyota Estima Generation 2. The new version (pictured below) is available in 2.4, 3.0 litre and 3500cc petrol engines only. There is however a Toyota Estima Hybrid variant on this newer model to afford more fuel efficiency and a ‘greener’ vehicle. The 2 or 4 wheel drive and 7 or 8 seat variants still exist. From Year 2006 onwards the Generation 3 Toyota Estima became avaulable and Algys Autos offer them for sale fully UK registered. The Gen 3 is still in Japan Production and lgys Autos still offer them for sale fully UK registered, all models! 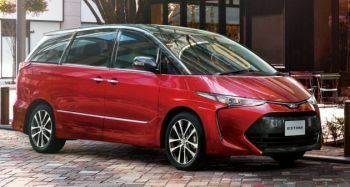 Simple, we import fresh Toyota Estima direct from our Japan garages NOT from very inferior UK auctions or from Toyota Estima circulating for sale within the UK. Most UK traders buy from the used UK market, generally these cars are tired and have been subjected to the cruel and harsh winter roads and conditions. Ask to see the Japanese auction sheet and proof they imported it from Japan…..if they can’t or won’t provide it, turn around, walk away and come to the experts. Contact us via email and ask for our stock list of Toyota Estima for sale arriving weekly into the UK, we always have a minimum of 10 Toyota Estima for sale and en route to the UK at any given time!! We are the UK premiere importer and supplier and represent over 600 garages in Japan! Our UK garage at Bristol offer full facilities and your car can be delivered to your door via transporter. For full details click the link ‘Import Scheme’ above. Alos see the ‘Stock’ link above. These prices represent un-surpassable quality and value for money. 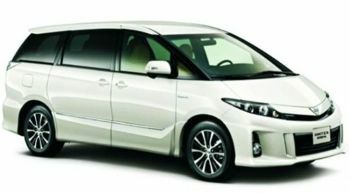 From 2006 The Generation 3 Toyota Estima was introduced by Toyota, the engine and gear box remained the same with the 2400cc block & 3000cc engine but the 3000cc was later replaced with a 3500cc engine, most believed it was in competition with the extremely popular Nissan Elgrand luxury Mpv (they can be seen on the Algys Autos website) Prices of the Generation 3 Toyota Estima for sale and UK Registered via Algys Autos would be from £5995. Our prices are thousands cheaper than anyone else. Check for yourself! 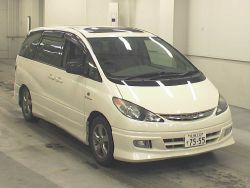 Algys Autos always have a constant flow of Toyota Estima available for sale Via our Unique Import Scheme within the supply chain either just into Japan stock, en route via Vessel or putting into UK port. To be honest it is incredibly difficult to keep the website daily current as stock literally changes constantly, here however are a few examples of those that will have recently been imported within the system. it is my no means comprehensive as we have about 10 Toyota Estima for sale in the system at anyone time. For an accurate list always emails us for a no obligation list and be put on the daily email list. 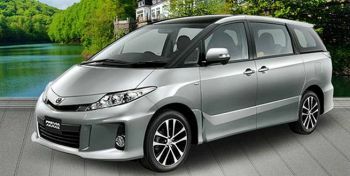 The Toyota Granvia is the ‘Big Brother’ of the Generation 2 Toyota Estima. 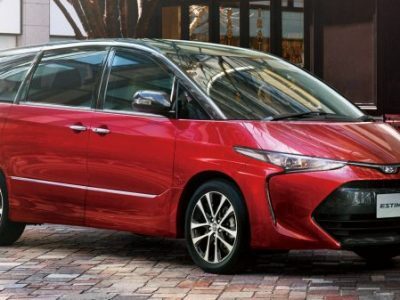 The Toyota Granvia has all the same options as the Toyota Estima and more! The Granvia has 7 and 8 seat options as well as 2 and 4 Wheel Drive. It also has a whole host of additional optional extras. The Granvia is slightly more ‘roomy’ but its real advantage is the more powerful 3.0 litre turbo diesel engine over that of the Generation 2 Toyota Estima which has 2.2 turbo diesel. 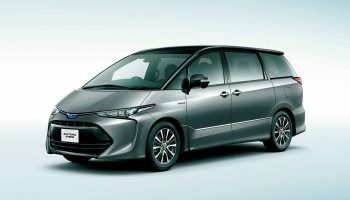 Take a look at the Toyota Granvia for sale and you may wish to consider is as a more powerful alternative to the Gen 2 Toyota Estima. The Granvia is available on Algys Autos unique Import Scheme! To see Toyota Estima for sale and to be supplied fully UK registereds click the ‘Stock’ link at the top of the page. 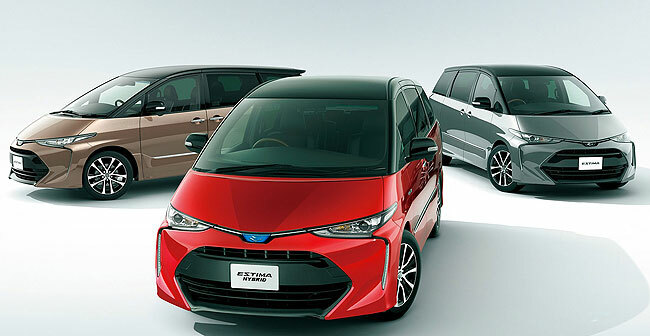 If you want advance notification of Toyota Estima available in Japan send us an Email from here: Click . 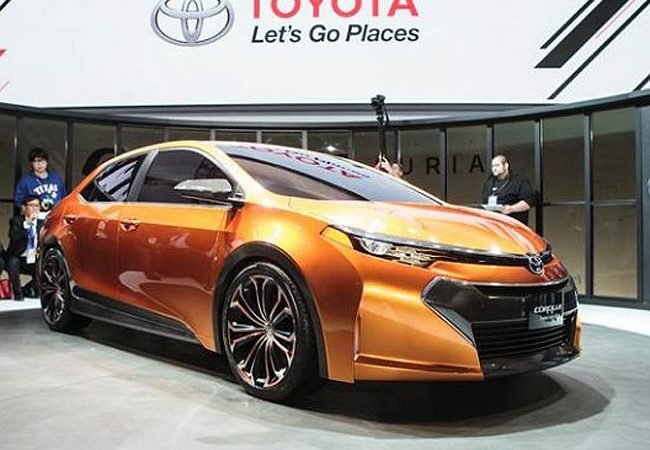 See the emails of the Toyota Estima for sale of your choice in the comfort of your own home to see time and again. These is NO obligation to our email service, advice or the YouTube videos. Toyota Estima Hybrid from year 2001 to date. Algys Autos Ltd is by FAR the best UK value available!! How? We have garages in Japan and UK. NO middle-men. We have the FULL infrastructure in place and we are not greedy. £350 profit per car SIMPLE. Try asking another dealer how much profit he’s made on a car!